A few weeks ago we introduced Ethan McGrath; our fourth finalist to be profiled is Gerson Batista. Gerson Batista is a multi-award winning young composer, illustrator, multi-instrumentalist, poet and writer from Aveiro, Portugal. He started his academic path in civil engineering but early on he began composing. In 2007 he enrolled to study music theory, church organ and vocal techniques at the Calouste Gulbenkinan Music Conservatory of Aveiro. He also studied composition with Pedro Bento, Ricardo Ribeiro and Virgílio Melo. 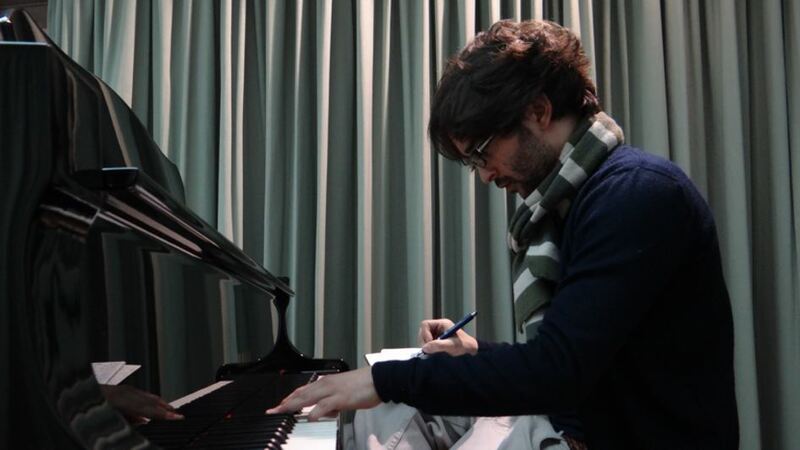 Gerson’s first solo album, Silent Dreams, was released in 2012 whilst composing contemporary music and premiering some of his early contemporary pieces. Since then, Gerson has written and presented theatre pieces, published two books, and composed and produced across a broad range of musical genres. He is currently residing in Aveiro, where he is developing and creating several projects within contemporary music, folk, jazz, writing and illustrating.